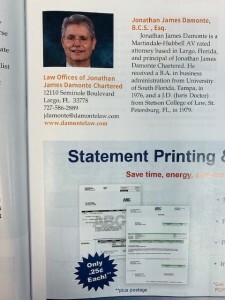 Largo attorney Jonathan James Damonte, B.C.S. 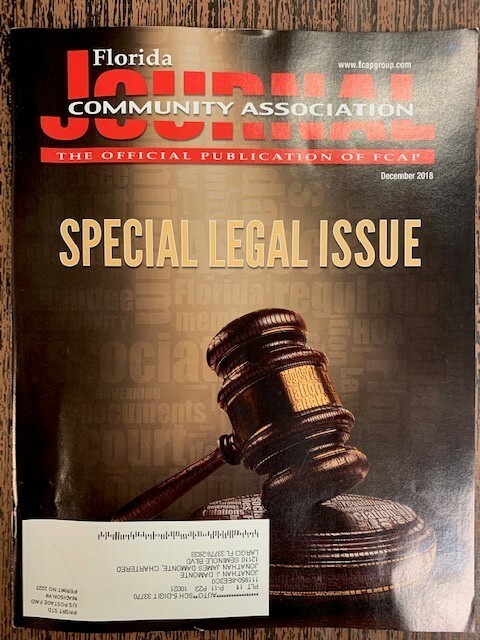 is recognized in the December 2018 Florida Community Association Journal for his commitment to Florida Condominium and Planned Development Law. 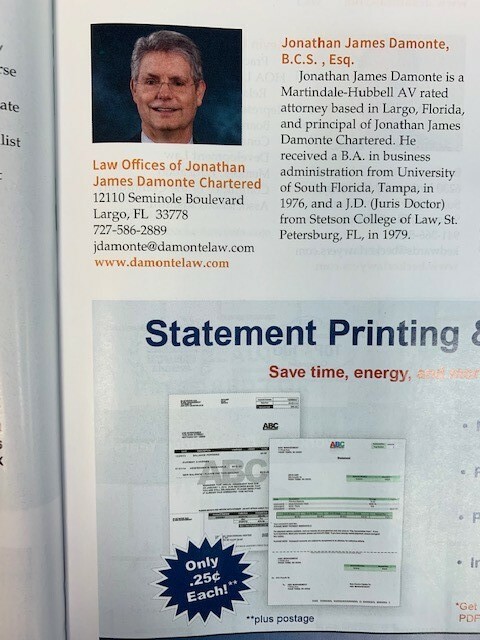 Attorney Damonte is one of only 127 attorneys out of over 100,000 attorneys in Florida who have achieved Board Certification by the Florida Bar in Condominium and Planned Development Law and one of only 50 attorneys recognized by the FCAJ. Congratulations Jonathan!